DAVID APPEL is a choreographer, performer, and teacher who keeps asking questions: about the what and why of how we dance and make dances, and how our awareness of movement and its organization reflects the progression and character of our daily lives, of our mutable sense of place and relationship in the world. Whether as a solo artist or in the pieces he makes with others, his work speaks directly to audiences through palpable and evocative dancing and an engaging onstage presence and performance style. The movement language and moment to moment interaction reverberate, enabling us to revel in how things are put together and tread the unexpected paths we find ourselves on. 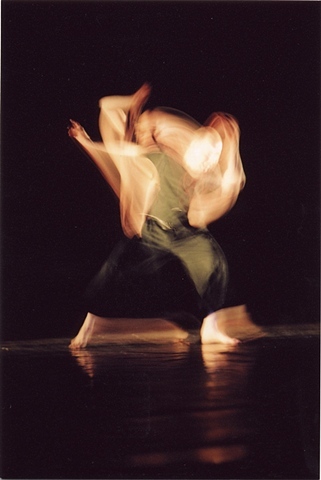 For the past 45 years, David has resolutely followed his own road, developing approaches to moving and dance-making that stem from an intense curiosity about the possibilities we encounter individually and collectively. This process is marked by his search for an ever-greater subtlety and range of articulation, how he addresses the activation of internal and external space, a quirky yet vibrant musicality, and a celebration of the fluid link between our dancing selves and the world through which we move. The end result is that audiences and students alike are invited to re-imagine how we can perceive and connect with all that is around us.